The Caribbean Alliance for Sustainable Tourism (CAST) and the Caribbean Hotel and Tourism Association (CHTA) recently held a must-see webinar hosted by Dr. Craig Dahlgren (that you can view here) on the value and benefit of coral reefs. Coral reefs are rapidly declining in their health and live coral across Caribbean regions have gone from 40-50% in the 1970s to just 10% living coral at present. If these numbers shock you, they should! As coral dies off seaweed takes over and the waters around our islands change from coral dominated ecosystems to a seaweed dominated ecosystems. The negative effects of this is clear as illustrated by your own experience if you’ve been in the region lately and articles such as Sargassum threat is the ‘new normal’ for Caribbean. The reasons for decreasing coral colonies are multitude: increased ocean temperatures is leading to marine acidification, an increase in hurricane intensity which can wreck coral reefs that have withstood centuries of hurricanes, and coral bleaching. All of these factors, and many others, make it so that corals are less resilient to disasters, whether human or natural. It’s more important than ever to place a premium on green initiatives and going green means taking care of what’s below sea level as well. With regards to the last point above low cost coral rehabilitation programs such as a mid-water coral nursery can jumpstart a natural process that helps coral reefs come back and make restoration a realistic possibility on a local level. 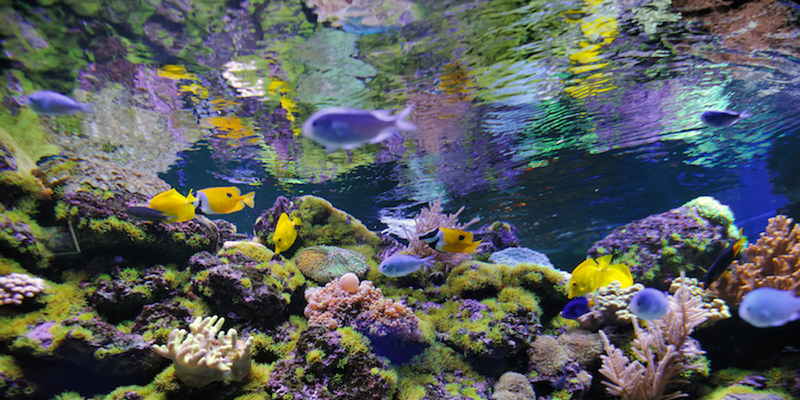 Aside from just being the right thing to do, a coral nursery at your resort will create a new and unique angle for guests to participate and learn, provide marketing content, and provide further appeal to the evermore eco-conscious travelers of today. Go Green. Get in touch here or at hello@coralrange.com.